Hair Shadow Root Concealing Kit 0.24 oz. & Dry Shampoo 2.5 oz. Hair has never had it so good. 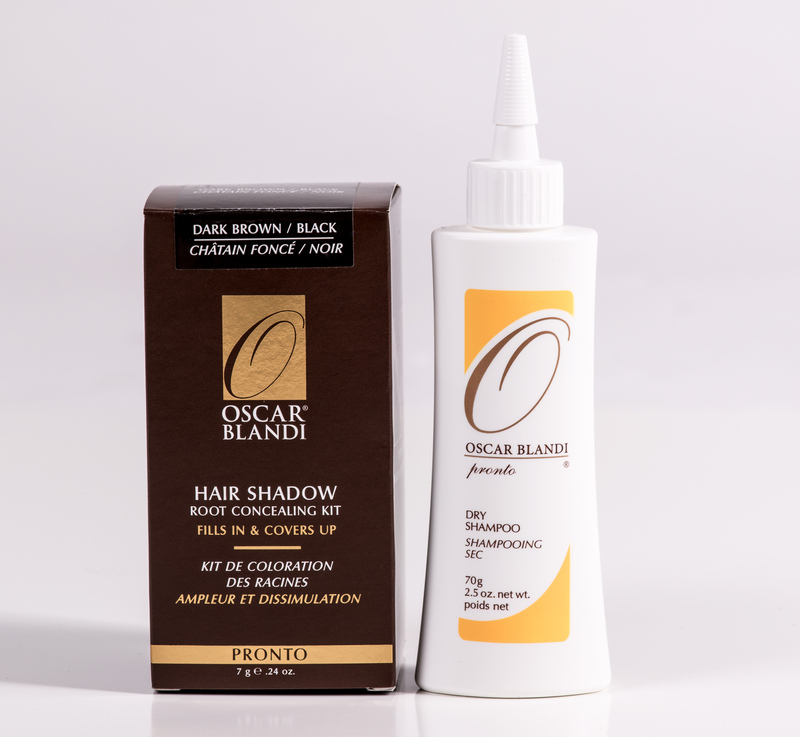 Introducing Oscar Blandi, a luxurious haircare line for women. Any woman. Any hairstyle. These amazing hair products, made with the finest ingredients, give your hair oomph and smooth style. Everything you need to create a beautiful new ‘do – salon quality mousse, curl perfecting cream, serum, pomade, teasing dust, gel – and on and on. And yes, the essential shampoos and conditioners, too. My absolute favorite in the line is the Pronto Dry Shampoo Powder. My hair stylist is telling me all the time that it’s not necessary to wash your hair every day. In fact, she says it’s better for your hair if you don’t. Well, I don’t know about you but I do not have perfect locks. I wake in the morning and my hair is every which way and most of the time a little greasy feeling and looking. This incredible powder has changed my morning routine, at least, every other day. How nice to not have to blow dry my hair all the time (not to mention the time I save in the a.m.). Just apply it to your dry hair at the roots, using the pointy tip to help make sections. Lightly squeeze the bottle and massage it in with your fingers. Then, brush it out. And just like that, dirt and build-up disappear. It also adds volume which my ‘Day 2 Hair’ desperately needs. You can also use it as a refresher during the day, before a date, or whenever. Shake a little into your palms, smush it all around, and then work it through your roots. Easy breezy. Is your hair worthy of an Oscar? Of course it is! Give it a try and tell me what you think. This entry was posted in haircare and tagged haircare products, womens haircare. Bookmark the permalink.